Barr makes Whitehead aware that Harvard is considering him for a Chair in the Philosophy department. 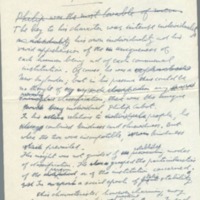 Whitehead's tribute to Philip Cabot. 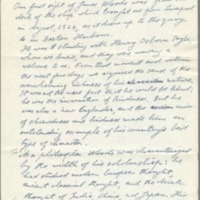 Whitehead's tribute to James H. Woods. 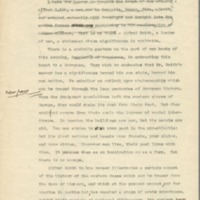 Three drafts of an unpublished paper on the development of western religion. 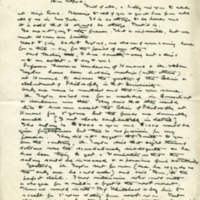 Two drafts of an unpublished paper on freedom and order; the draft presented first incorporates the handwritten corrections from the second. 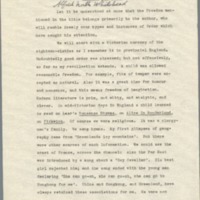 A toast given to statesmen Alfred Smith at Harvard University. 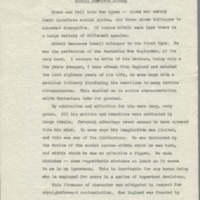 Contains three different drafts with handwritten emendations, and two competing reports of a guest count.